It's hard to imagine a concept more anti-democratic than the filibuster. My new “Think Again” column is called “ How to Be a Political Journalist in America” and it’s here. (Though a bit sappier than I would have preferred). This past week saw both the New York Film Festival and the Hamptons International Film Festival. Don’t ask me how many films I saw. It was too many and in a few cases I only made it through about a half hour of some. But you can ask me what were the standouts and why. Ok, well not “why” or at least not today. But here are a bunch of movies you should probably see if you get the chance. Argo: This movie is almost too much fun. Not Fade Away: This movie has, I swear, the largest budget for music rights in the history of all moviedom, curated by Steve van Zandt. The Girl:This is an HBO movie about Alfred Hitchcock and Tippi Hedren. It’s pretty good. Smashed: This is a really impressive little movie; thoughtful and real, about family life. Refuge: Guess what, so is this. Fill the Void: An amazing compendium of great movie moments. Like Someone in Love: Abbas Kiarostami goes to Japan and makes a lovely little love story, of sorts. I actually saw more movies than this, but I am not sending you to all of them; I suffered so you don’t have to. And I will try and write more about some of these films over the next few months. Ben Jaffe, who is now creative director of the band, picked out 58 tracks recorded over a period of fifty years. It’s not chronological, which bums out the historian in, but it’s pretty great stuff nevertheless. The story begins, let us note, with Nesuhi Ertegun’s 1962 recording of the band through 2010, when in anticipation of the anniversary, they invited the like of Richie Havens, Tom Waits, Pete Seeger, Andrew Bird and Del McCoury. The set also features five previously unissued performances, though to be honest, I can’t imagine anybody on earth already had everything on this box before so that’s kind of silly. In any case, you enjoy the “old school” orthodox pre-bop New Orleans Dixieland-influenced “jazz,” there’s no place better to go. I saw them last April at a midnight show, and believe me, they still got it; four cds, and pretty cheap at that. Oh and that Jazz For Obama Show I mentioned last week. What a lineup. I wasn’t really paying attention, but look here. As this election season nears its climax, campaigns of every stripe are staking out their positions on the host of challenges facing our country. But over the next few weeks, one of the most important structural problems facing our nation’s ability to govern itself will likely go unmentioned by the presidential candidates, unasked about in any of the debates, and all but ignored by the press. But make no mistake, the notion that anything will really change for the better in Washington next year is the very definition of crazy if we continue to allow our legislative process to be hijacked by the lazy tyranny of filibusters. Honestly, it’s hard to imagine a concept more anti-democratic than the filibuster. Its history speaks of its capacity for evil and abuse—from its early etymological origins describing efforts to expand slavery to its later, more common definition as procedural ploy in the Senate used by segregation supporters to obstruct Civil Rights legislation. By allowing a single elected official to essentially flout the collective will of two branches of government barring a supermajority objection, filibusters are tailor made for obstructionism and preserving the status quo. Even more inexplicable, this odious tactic that haunts the hall of Congress appears nowhere in the Constitution—it is a creature born of bureaucratic banality. Until recently, however, filibusters were considered but an occasional novelty, a kind of personality quirk of the Senate, because they were relatively rare. But the days of actually filibustering a bill—with cots in the Senate chambers and impassioned idealists nobly reading things like railroad schedules and the Holy Bible into the Congressional record—have been replaced with relaxed rules that allow for all-too-easy objections. 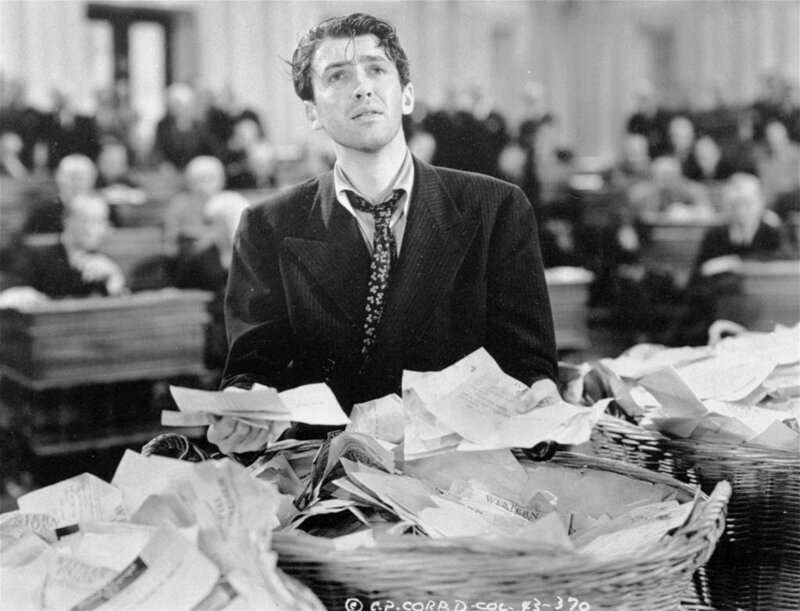 And, as might be expected, some lobbyists now specialize in filibuster consultation. As a result, the number of filibusters has skyrocketed. As demonstrated by this graph (and, to see the raw numbers, this table) of Senate cloture motions—which serve as a proxy measurement of filibuster activity—their popularity really began growing in the 92rdCongress of 1971–72. Since then, they jumped again in the 103rd and then the 110thCongresses (plateauing after each spike as their level of usage became institutionalized). In all three of these cases, I humbly point out, Republicans were in the minority in the House and the Senate. [T]he filibuster also blunts accountability. Obstructionist tactics regularly keep legislation and nominees from reaching the Senate floor altogether, preventing public debate as well as any up-or-down vote. Senators thus avoid taking a public stand on policy or engaging in genuine decision-making. Constituents are left to guess how these elected officials would have voted on the underlying policy matter, rather than being able to weigh the choices their representatives actually made. Indeed, this shirking corrodes more than just the functioning of the Article I and Article II branches. Because the Senate’s judicial appointment process has also slowed to a trickle, our nation’s federal benches are riddled with so many vacancies that at times, it struggles to handle the workload. As a result, retired jurists, like former Justice Sandra Day O’Connor—yes, that Sandra Day O’Connor—have repeatedly been called out of retirement to fill in as substitute judges. Just how low has the Senate sunk in filibustering judges? Consider this—a D.C. appellate court replacement for John Roberts, who was elevated to Chief Justice of the Supreme Court seven years ago, has yet to be approved. And not to put too fine a point on it, but Senate Republicans are now so used to gumming up the Senate that they’re even willing to exploit the filibuster against GOP-backed judicial nominations. It should come as no surprise, perhaps, that Senate Republicans were singing a different tune when they held the majority. Nor will it shock even a casual observer of conservatives that a Tea Party allegedly obsessed with originalism—to the point of ditching several Constitutional amendments—is conveniently silent about the a procedural move that appears nowhere in our nation’s founding texts yet helps block a Democratic agenda from advancing. Not helping the public understand the sea change that has taken place in Senate’s functioning the past few years—the media. To read story after story about the aborted demise of some piece of legislation in the Senate since the Democrats came to power in 2007 is to increasingly feel like the press’s relationship with the word filibuster is that it is “a move that dare not speak its name,” to borrow a phrase from Walt Whitman. Instead, what the press has done is inculcate the filibuster as the de facto Constitution law of the Senate. Over time, a myopic conventional wisdom has emerged. From it, you get uninformative articles like this and this and this that never use the term filibuster and gloss over the havoc being wreaked upon the legislative process by talking vaguely of “needing 60 votes to move forward.” Not according to the Constitution, it doesn’t. Maddeningly, this blind spot extends beyond simple process stories. Take this Washington Post editorial, which specifically decries the Senate’s ineffectiveness without every using the word filibuster. Or there’s Ryan Lizza’s recent magnum opus in the New Yorker, about the potential issues and challenges that Obama would confront upon reelection, where the word ‘filibuster’ is completely absent. As if an openly brazen, entrenched campaign of unprecedented Senate obstructionism hadn’t been throwing buckets of sand in our nation’s legislative gears the past few years. To be fair, Republicans and the press aren’t the only ones at fault here. Small-minded Senate Democrats have continually fallen for the trap of preserving the filibuster rule as a kind of hedge against day the opposition returns to power. There is hope, however. After dabbling with real filibuster reform at the start of the last Congress in early 2011, only to reconsiderreconsider and then regret it later, Senate Majority Leader Harry Reid seems to have finally grasped the long-term damage being done to the Senate. (Reid is on the record advocating for filibuster reform even if the Senate flips in November.) President Obama has come out in favor of reform as well. A narrow Obama reelection next month would likely accompany a more closely divided House and a Senate where Democrats still cling to slight majority but the body is more ideologically divided than ever. In a parliamentary system this would be no big deal when it comes to governing. But under the current rules of our democracy, such a knife-edge balance is simply a recipe for even more legislative gridlock (as hard as that is to imagine) and “grand bargains” that are anything but. Heck, even when the Democrats could count on 59 Senate votes back in 2010, legislation like the DREAM Act, which passed in the House, was killed by filibustering Senate Republicans. So, any hope of Obama actually passing likely second-term agenda items such as immigration reform or climate change legislation or infrastructure investments rest on fixing the system first. It’s understandable if some liberals are wary of making such a change. Memories of a lonely Democratic Senate minority filibustering some of the worst excesses of the Bush Administration are still fresh in many minds. But this shortsighted mindset only redounds to the Republican’s benefit. It entrenches the right-wing talking point that the federal government is incapable of handling its appointed duties and is undeserving of the people’s trust. Boiled down to its essence, conservatism is all about doing less or nothing, so by continuing to embrace filibusters, liberals are essentially ceding a powerful structural argument to their ideological opponents from the get go. Yes, it will take courage to rid ourselves (or severely curtail) filibusters, but we’ve all seen what years of trading present-day progress for future obstruction gets us. I say, “f” that. Reed: As inept a job as JL did, he teed up the questions and let the contestants take their swings. One guy came in on the juice; the other guy stayed home. Obama blew many opportunities to make many important points and refute most of Romney’s lies. That’s not Lehrer’s fault. Reed replies: First off, I agree with your critique of Obama, which is why I clearly stated in last week’s column that, whatever Lehrer’s failures, the president must still own his subpar performance. But my larger point was that Lehrer’s ineptitude was not merely confined to managing the flow of the debate, it was also characterized by the intellectually negligent way he “teed up” the questions to the candidates. As a result, last Wednesday’s debate was a real missed opportunity for the press because, beyond Obama’s inexplicably subdued demeanor, real news was also being made by Mitt Romney. Time and again, Romney ducked criticism by essentially playing the antagonist in a whack-a-mole game; wildly and willfully misrepresenting or changing the positions he’d taken while campaigning as a “severe conservative” during the past 18 months. Yet, Lehrer was too busy being objective and “staying out of the way” to react in real time to Romney’s sudden, wholesale abandonment of intellectual consistency. If this kind of feeble execution and incurious detachment on the part of the moderator was really the goal, I have to ask why is it a prerequisite that only a few prominent journalists be trusted with this job? It’s certainly not for their thick skin, as former moderator Gwen Ifill demonstrated this week. (And for what it’s worth, Gwen, your suspicion that a hotel housekeeper might have been part of a conspiracy to uncover your debate questions is probably something you should only divulge to a trained therapist with access to prescription medication.) My point being that such a structural mismatch between unnecessary overqualification and intentional underperformance only serves to weaken and commodify journalism in the long run. On what was perhaps the biggest public stage, the supposed cream of the crop allowed journalism to be dumbed down to a series of relatively unimaginative and repetitive tasks, few of which added any context. Tell me millions of Americans weren’t watching Lehrer and thinking, “Hell, I could do better than this guy”—and they would have been right.